1701201 15 CASE 15 Compact excavator Spare parts catalog. Operation and maintenance. Service manual. 1701202 16 CASE 16 Compact excavator Spare parts catalog. Operation and maintenance. Service manual. 1701203 23 CASE 23 Compact excavator Spare parts catalog. Operation and maintenance. Service manual. 1701204 23 MINI CASE 23 MINI Compact excavator Spare parts catalog. Operation and maintenance. Service manual. 1701205 50 MINI CASE 50 MINI Compact excavator Spare parts catalog. Operation and maintenance. Service manual. 1701206 CK13 CASE CK13 Compact excavator Spare parts catalog. Operation and maintenance. Service manual. 1701207 CK15 CASE CK15 Compact excavator Spare parts catalog. Operation and maintenance. Service manual. 1701208 CK25 CASE CK25 Compact excavator Spare parts catalog. Operation and maintenance. Service manual. 1701209 CK28 CASE CK28 Compact excavator Spare parts catalog. Operation and maintenance. Service manual. 1701210 CK32 CASE CK32 Compact excavator Spare parts catalog. Operation and maintenance. Service manual. 1701211 CK36 CASE CK36 Compact excavator Spare parts catalog. Operation and maintenance. Service manual. 1701212 CK38 CASE CK38 Compact excavator Spare parts catalog. Operation and maintenance. Service manual. 1701213 CK50 CASE CK50 Compact excavator Spare parts catalog. Operation and maintenance. Service manual. 1701214 CK52 CASE CK52 Compact excavator Spare parts catalog. Operation and maintenance. Service manual. 1701215 CX14 CASE CX14 Compact excavator Spare parts catalog. Operation and maintenance. Service manual. 1701216 CX15 CASE CX15 Compact excavator Spare parts catalog. Operation and maintenance. Service manual. 1701217 CX15B S2 CASE CX15B S2 Compact excavator Spare parts catalog. Operation and maintenance. Service manual. 1701218 CX15B CASE CX15B Compact excavator Spare parts catalog. Operation and maintenance. Service manual. 1701219 CX16 CASE CX16 Compact excavator Spare parts catalog. Operation and maintenance. Service manual. 1701220 CX16B CASE CX16B Compact excavator Spare parts catalog. Operation and maintenance. Service manual. 1701221 CX17B CASE CX17B Compact excavator Spare parts catalog. Operation and maintenance. Service manual. 1701222 CX17B T4 CASE CX17B T4 Compact excavator Spare parts catalog. Operation and maintenance. Service manual. 1701223 CX18B CASE CX18B Compact excavator Spare parts catalog. Operation and maintenance. Service manual. 1701224 CX18B S2 CASE CX18B S2 Compact excavator Spare parts catalog. Operation and maintenance. Service manual. 1701225 CX18B CASE CX18B Compact excavator Spare parts catalog. Operation and maintenance. Service manual. 1701226 CX20B CASE CX20B Compact excavator Spare parts catalog. Operation and maintenance. Service manual. 1701227 CX22B CASE CX22B Compact excavator Spare parts catalog. Operation and maintenance. Service manual. 1701228 CX23 CASE CX23 Compact excavator Spare parts catalog. Operation and maintenance. Service manual. 1701229 CX25 CASE CX25 Compact excavator Spare parts catalog. Operation and maintenance. Service manual. 1701230 CX27B T4 CASE CX27B T4 Compact excavator Spare parts catalog. Operation and maintenance. Service manual. 1701231 CX27B CASE CX27B Compact excavator Spare parts catalog. Operation and maintenance. Service manual. 1701232 CX28 CASE CX28 Compact excavator Spare parts catalog. Operation and maintenance. Service manual. 1701233 CX31 CASE CX31 Compact excavator Spare parts catalog. Operation and maintenance. Service manual. 1701234 CX31B T4 CASE CX31B T4 Compact excavator Spare parts catalog. Operation and maintenance. Service manual. 1701235 CX31B CASE CX31B Compact excavator Spare parts catalog. Operation and maintenance. Service manual. 1701236 CX35 CASE CX35 Compact excavator Spare parts catalog. Operation and maintenance. Service manual. 1701237 CX36 CASE CX36 Compact excavator Spare parts catalog. Operation and maintenance. Service manual. 1701238 CX36B CASE CX36B Compact excavator Spare parts catalog. Operation and maintenance. Service manual. 1701239 CX36B T4 CASE CX36B T4 Compact excavator Spare parts catalog. Operation and maintenance. Service manual. 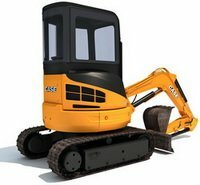 1701240 CX40B CASE CX40B Compact excavator Spare parts catalog. Operation and maintenance. Service manual. 1701241 CX47 CASE CX47 Compact excavator Spare parts catalog. Operation and maintenance. Service manual. 1701242 CX50 CASE CX50 Compact excavator Spare parts catalog. Operation and maintenance. Service manual. 1701243 CX50 T4 CASE CX50 T4 Compact excavator Spare parts catalog. Operation and maintenance. Service manual. 1701244 CX50B CASE CX50B Compact excavator Spare parts catalog. Operation and maintenance. Service manual. 1701245 CX50B T4 CASE CX50B T4 Compact excavator Spare parts catalog. Operation and maintenance. Service manual. 1701246 CX50B CASE CX50B Compact excavator Spare parts catalog. Operation and maintenance. Service manual. 1701247 CX55B CASE CX55B Compact excavator Spare parts catalog. Operation and maintenance. Service manual.